Miss Selina Snowley, daughter of deceased baronet Sir William Snowley, has only one chance to escape the workhouse or ignominy as a courtesan. She must become the companion of Lady Jane Busick, a close longtime family friend. The job itself will not be difficult for Selina, who loves Lady Jane as she did her own parents. It is the lady’s infuriating nephew who will make her task unbearable. 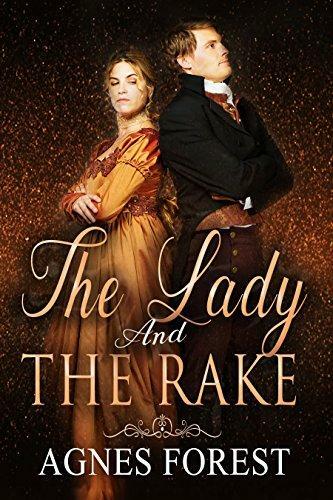 From childhood, Adam Caldwell, the Viscount Hawkridge, has been a thorn in her side, and now she will be forced to spend far more time in his company than she is happy with, as Lady Jane resides in his home. The Lady and The Rake is a clean, stand-alone historical romance.